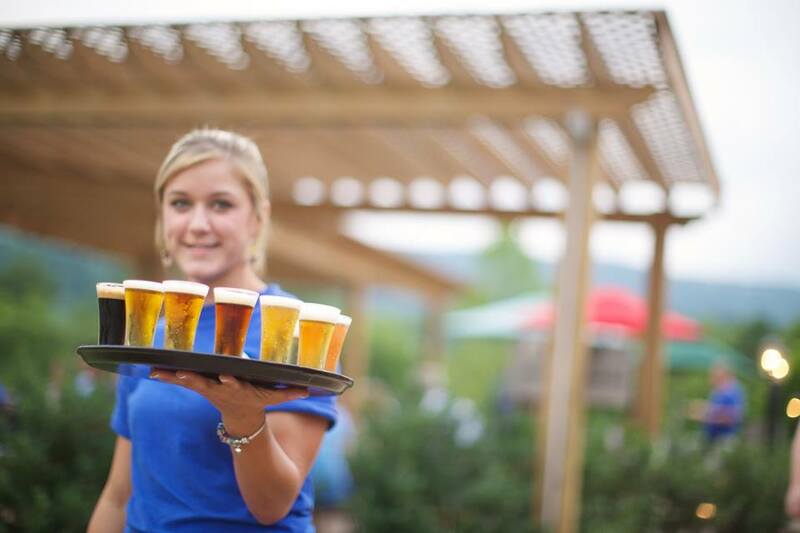 Wintergreen Resort is the ideal starting point for exploring the 7 wineries, 3 breweries, 1 cidery and 1 distillery located at the base of the resort on Route 151. Wish Wish Wine Tours offers pick-ups at Wintergreen. Most guests book a 5-hour tour and enjoy a relaxed tasting at 4 venues. If you would like to include a longer lunch, we suggest booking 1 additional hour. Ahead of the tour, we will make a plan for the day depending on your preferences. You may want to focus on wineries, throw in a mix of breweries and wineries, include a long lunch, or celebrate the variety Route 151 offers with the Spirits of C’ville Route and visit 1 winery, 1 brewery plus a stop at the cidery and distillery. It’s totally up to you if you want to stick to the plan, or not. Often guests decide to hang out a bit longer at a venue they especially like. You have this flexibility, we’ll simply adjust the plan on the spot. It’s not about how many places you hit on the list, but about how much fun you had. At lunch time the breweries are popular stops. It can get busy, certainly on the weekends, so that’s something to be aware of. But the food is good, and so is the beer. Most wineries offer simple (but good) fare like cheese and baguettes. This is a good option if you prefer to eat a little bit at multiple stops. You can also bring your own picnic to enjoy outside on the patio or lawn at the vineyards. Wish Wish also offers gourmet lunches from local providers. This way you don’t have to wait for your food, while still enjoying something more filling. While you are enjoying a tasting, your driver will pick-up your lunch that was made from scratch on the morning of your tour. 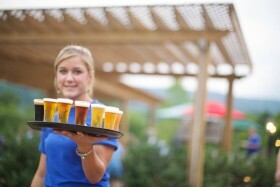 Popular Routes from Wintergreen are: Customer Faves, Spirits of C’ville and Brew Ridge. You can mix and match all routes to create your favorite. Interested in booking a tour for 5-people departing from WIntergreen on Sat May 12th. Thanks for your inquiry, Genna. We do have availability for a tour from Wintergreen on May 12th. Check out our Mini Van and SUV offerings for pricing and to book online. Don’t forget to select Wintergreen from the Pickup Location menu for accurate pricing. There are a lot of options for venues to visit in the area, so I recommend you also check out some routes on our Tour Planner. Calling all artists and metal workers!!! July 23 – Full Nelson 5K at Blue Mountain Barrel House!